It’s time to come clean about something — my photo situation is a disaster. I feel like a hypocrite because I share so many tips about organizing and decluttering here on the blog, but while I am organized and clutter-free in many aspects of my life, when it comes to organizing my photos, I am nothing but a HOT MESS. The last time I ordered a printed photo book was somewhere around 2011, and I have thousands of photos on my computer, phone, random devices, and in boxes and bins throughout the house. Since most of my photos are digital, I’ve been able to shove my photo mess under the proverbial rug (my hard drive) for years. But now that the photos have been piling up and my computer is running out of memory, I really need to take action. 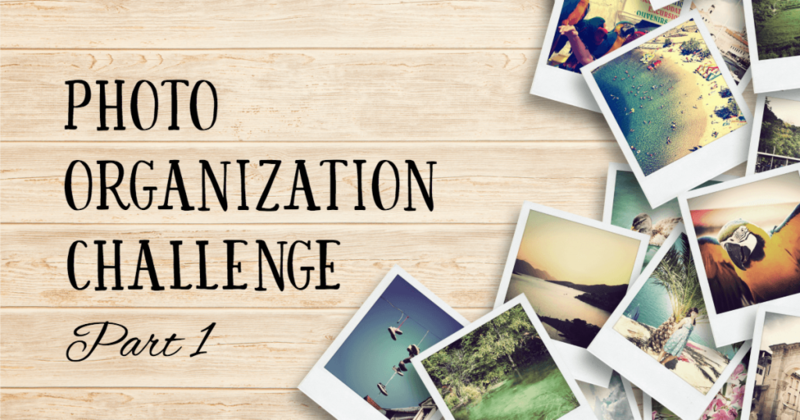 Thus, the PHOTO ORGANIZATION CHALLENGE. I am ready to get things under control, and I thought it would be encouraging (and helpful) to put my methods and process on the blog. I want to be held accountable, and I also want to motivate others and share what I learn along the way. I know there have got to be some other hot mess photo hoarders out there! I’ll be breaking this photo organization project up into several posts because it’s too much to tackle in one sitting. Plus, I’m going to need time to work through each step between posts. My goal is to have the past 10 years’ worth of photos neatly organized, backed up, and printed into photo books within the next six months, if not sooner. There, it’s in writing. I’ve got to do it. And I’d love it if you joined me! The first bullet is what I’m writing about today. If you’re like me, you have photos on your phone, photos on your spouse’s phone, photos emailed to you from friends, photos on ipads/tablets, and photos on your camera, just for starters. The first thing to do is to get everything in one place. If you’re an Apple user, you might want to consider using iCloud to sync photos from all of your devices. If you’re not an Apple user, Google Photos is another good option. I do use a Mac, but for now I’m opting to manually download all of the photos onto my desktop computer, and then sort them in the “Photos” app. After all of your digital photos are together in one place, it’s time to get organized. 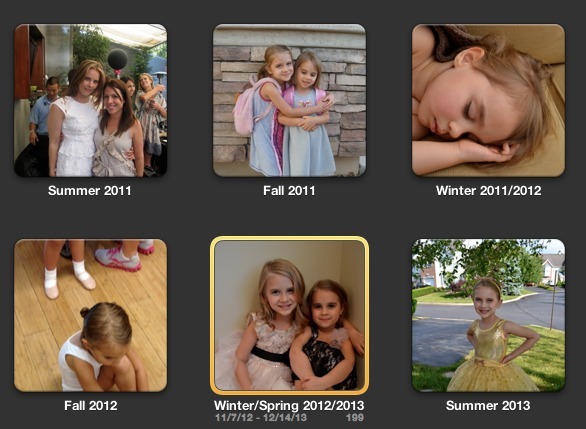 When I first started organizing my photos in iPhoto (which has been replaced by Apple’s “Photos” app), I was creating categories for specific events, like “School Play” or “Beach Trip 2014.” But I found that there were WAY too many categories, and no logical way to categorize the day-to-day photos that weren’t tied to a specific event. So I ditched that plan and instead decided to categorize by SEASON and YEAR. For example: Fall 2010, Winter 2010, Spring, 2010, Summer 2010, etc. 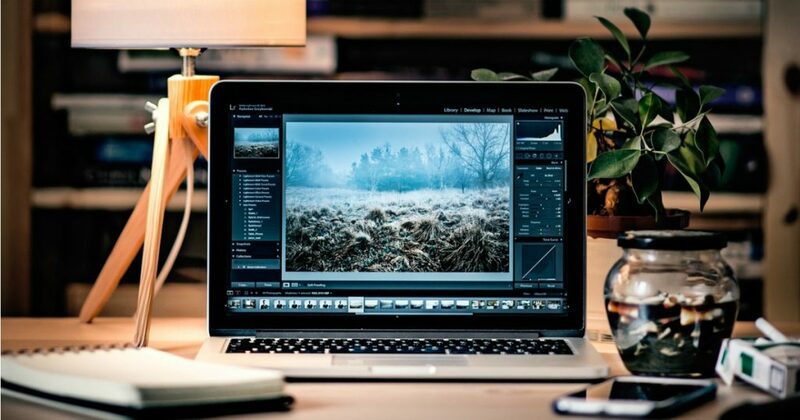 Each type of photo organizing software will be slightly different, but the key is to split the photos up into manageable groups or albums for each season, which will make the archiving and printing process a lot easier down the road. I do have a few stray categories for special occasions, but for the most part, I’m putting all of my digital photos into this seasonal format. OK, that’s it for the first part of the challenge! Next it’s going to be all about deleting and editing. Is anyone else on board? I’d love to have you join me…this might not be the most fun process in the world, but we’ll be SO happy and proud of ourselves when it’s done! 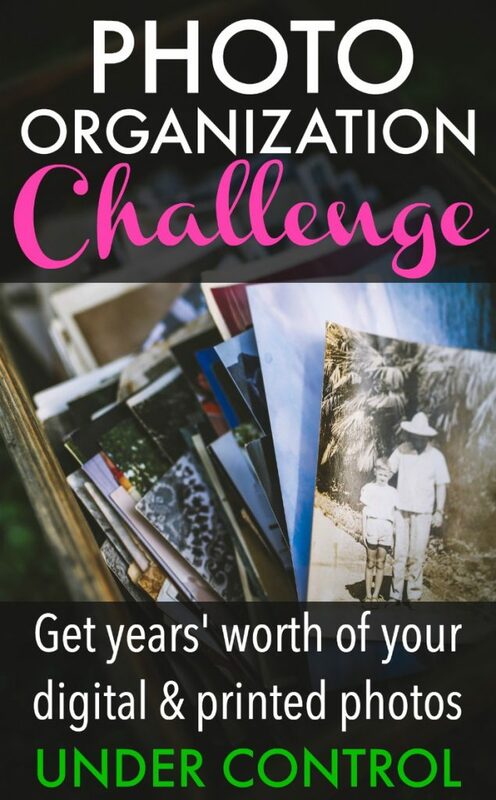 If you’re in for the challenge, or you have any photo organizing tips to share, please comment below! I also encourage you to sign up for my weekly newsletter so that you’ll be updated on any new challenge posts that I publish. I have been putting off organizing my photos so long that finding a place to start seemed impossible. I am going to take your challenge. Here’s hoping!